Scribner Auction is excited to present their March 2019 auction for online bidding. 700 lots spread between two days will go through the auction block. The first day is full of coins and currency of interest to any collector. On the second day, they present a fantastic selection of farm toys. The auction kicks off on Friday night March 22nd and 5:30 Mountain Time and Saturday morning the 23rd kicks off at 11AM Mountain time. 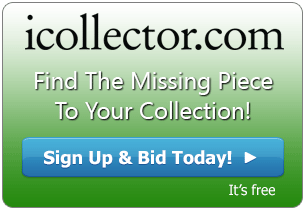 Full online bidding is available through iCollector.com, along with a live audio stream for all online bidders using a desktop or laptop computer. Features on Friday night include a 1955 Canadian One Cent graded VF 20 at Lot number 8, and a Newfoundland 50 cent piece graded F12 at Lot 171. Also, bidders should look at Lot 288 which offers up 3 sequential Canadian $1 Banknotes with the Coyne and Towers signatures. Their serial numbers are GA1617519 , 20, and 21. Over 300 lots are up for grabs and everything opens at only $5 to guarantee brisk bidding and great buys. Saturday offers over 380 lots of farm toys to chose from. These fabulous finds create one of the best groups of farm toys ever to come to one auction day. 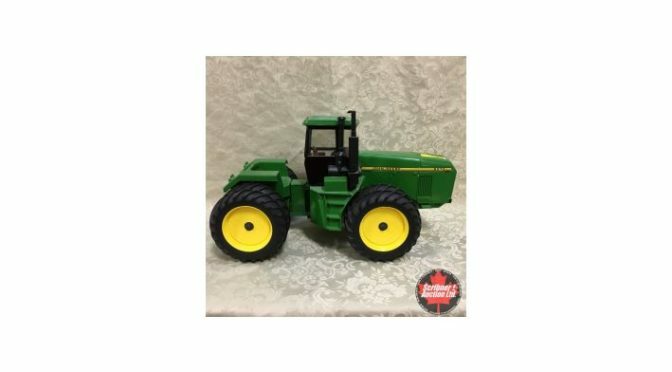 Bidders can get their hands on such piece as an IH pedal tractor at Lot 594, a John Deer 8870 FWD at 1/16th scale at Lot 621, and a Cougar PTA 280 at 1/16th scale at Lot 672. There are also some other collectibles in this session such as a beautiful Case Garden Tractor clock at Lot 697. Live and mobile bidding is available and absentee bidding is currently being accepted. The entire catalog is available for online inspection with full photos and descriptions. Scribner Auction is happy to take any phone calls or emails on any of the 700 Lots going up on the auction block and will provide fantastic pre and post sale service to all bidders and consignors.